MG road was what people did before Pune turned into a Mall city. 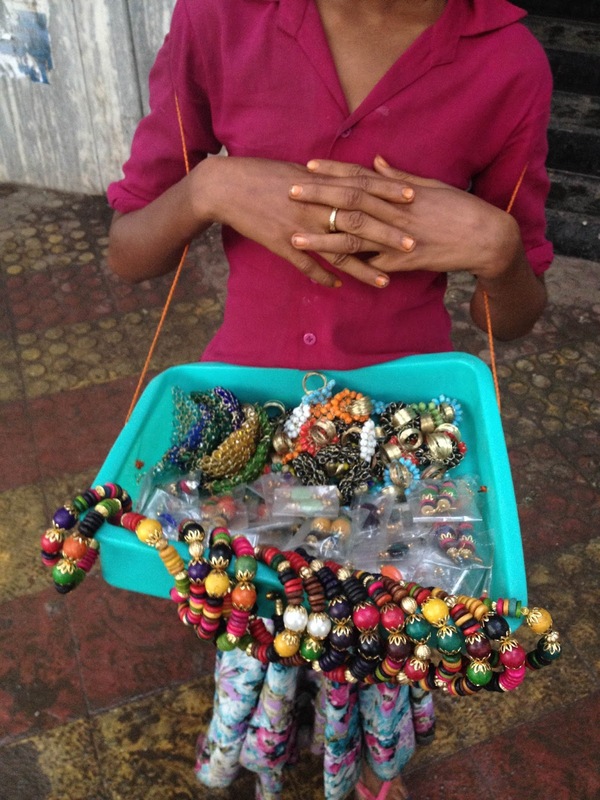 fancy trinkets are sold on the streets making MG road like a walking through a village fair. 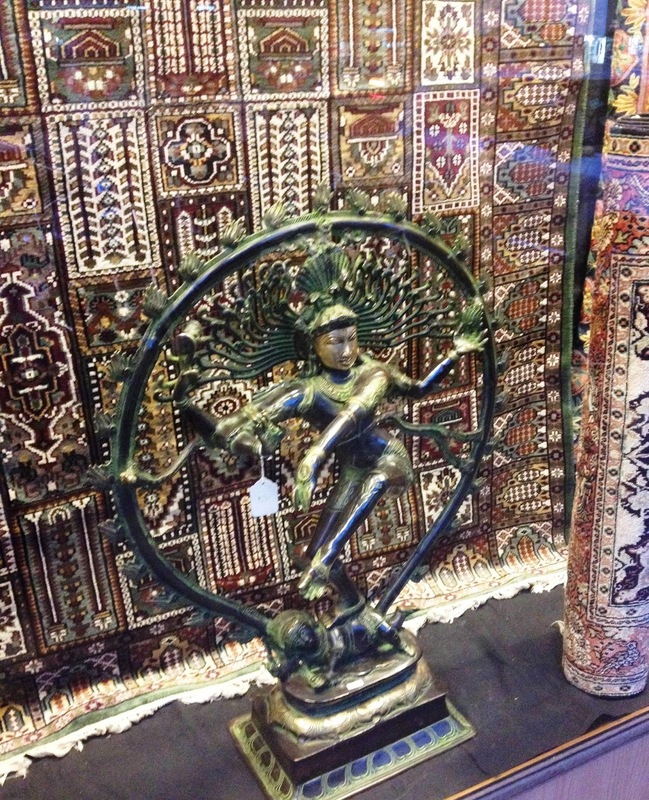 fancy kashmiri boutiques add to the joy of window shopping on main street MG road. 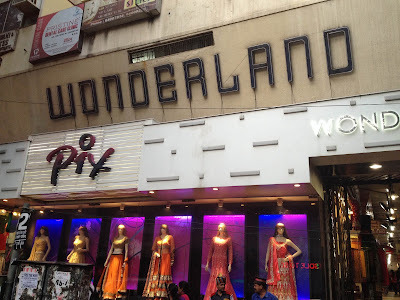 Yesterday we went on a walk down memory lane on MG road. 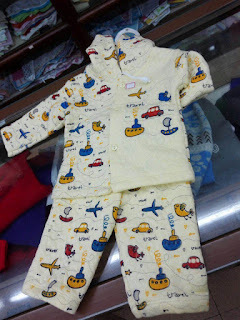 It was literally a walk down memory lane because I was out shopping for baby clothes for my soon to be, and my mother informed me that I too had worn clothes from the famed 'needle woman' on MG Road. Yup, a generation grew up on MG road, they said i used to come here in a pram 'stroller'. My memories of MG road is from my school days of window shopping, buying stationery at 5 star stationers, having pressed chana rom the street, insisting on the Midi and high boots for my birthday ( they were a rage following the movie rangeela) and eating veg chutney sandwiches at Marzorin. So after shopping for all things under the age of 3 months, we decided to revisit all the old haunts. Marzorin. Bhudani wafers and Kayani bakery. 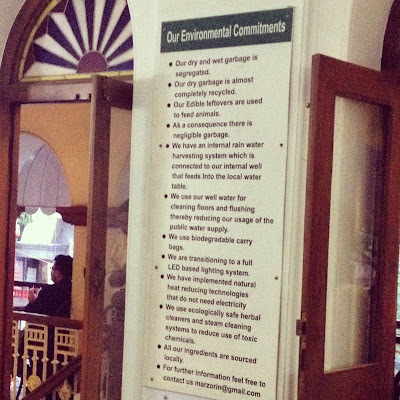 a brilliant idea to showcase your environmental initiatives. 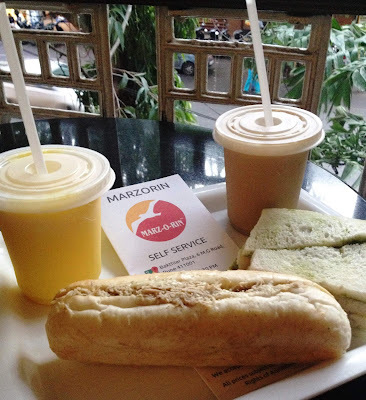 marzorin was doing healthy food, before health food became the rage. There frankly is no way the veg chutney sandwiches can get any better than at marzorin, slim slices of fresh bread sans the hard sides held a sweetish green mint chutney and barely there slivers of tomato. Yes, it has been attempted by many in their bakeries, and sometimes even I have attempted it at home, but it's a Pune Original, unimitable. At just 30 rupees it is still the best value for money sandwich out there. Have the recommended chicken roll, a submarine sandwich with a sweet mayo and pulled boneless chicken filling, a perfect meal on the go. wash it all down with the famous cold coffee and a thick shake of your choice, and we were happy customers at a mere 150 ruppees. 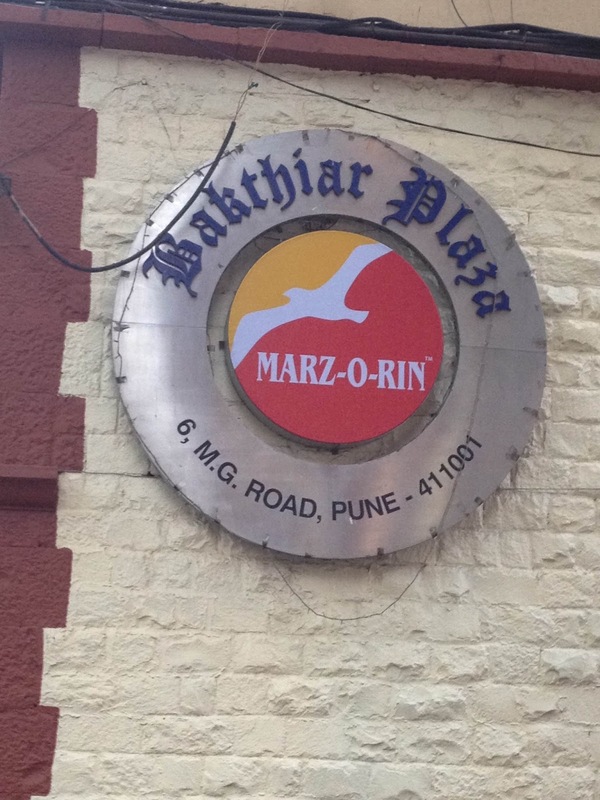 After all these years, I discovered a secret; Marzorin has a washroom! one has to ask the behind the counter person, and they will take you through the kitchen, the storage with the empty cartons, and lo behold a very clean and sanitised loo! And it does say it's for the customers of Marzorin. just goes to show, every trip has a surprise find. 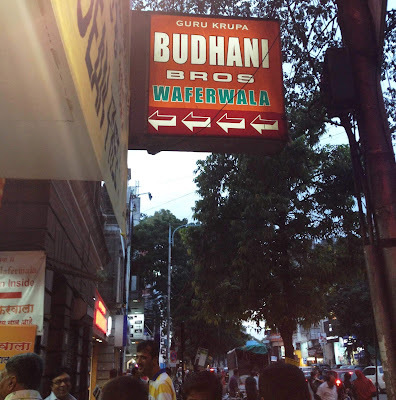 Next we went to Budhani waferwala. It is pretty much customary that if any one visits Pune they take back one of the budhan wafer packs, the potato shavings with cashews and raisins and a unique masala flavouring. I loved the tomato sev and was happy to pick those up. Now Budhani has undergone a lot of change since the times we were regulars; for one it is now divided among the three brothers. 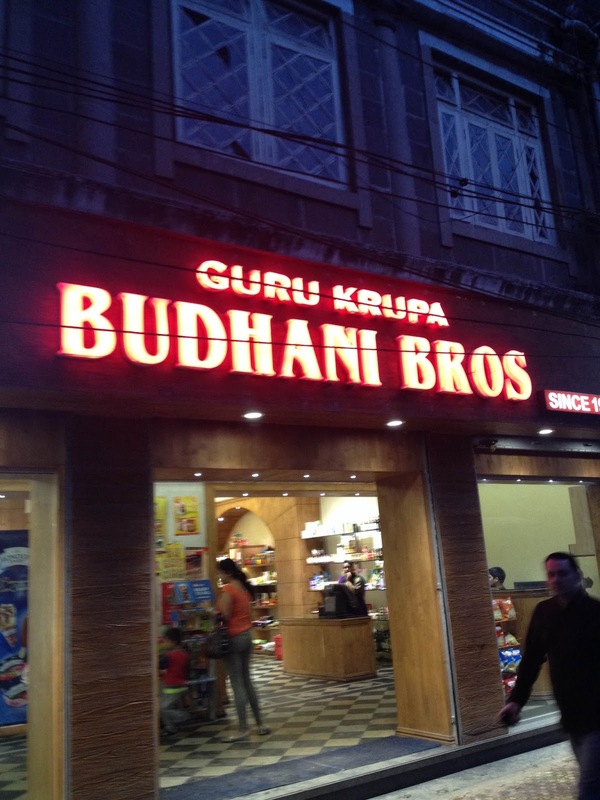 so you have three 'original budhani and bros' within 2 shops from each other! A sad but true story of the reality of the world, rifts in the family, I am sure there is a story behind it all, but was not in an investigating mood. 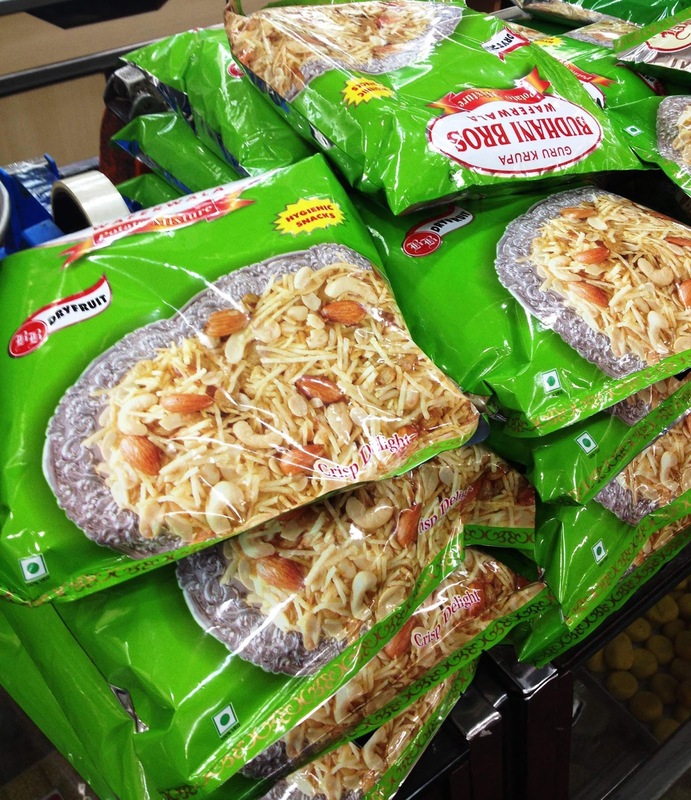 The real trageduy of it all is the sad demise of the 'Jaali wafer' . Jaali as in the hindi word for net, and not the hindi word for 'false/fraudulent' . 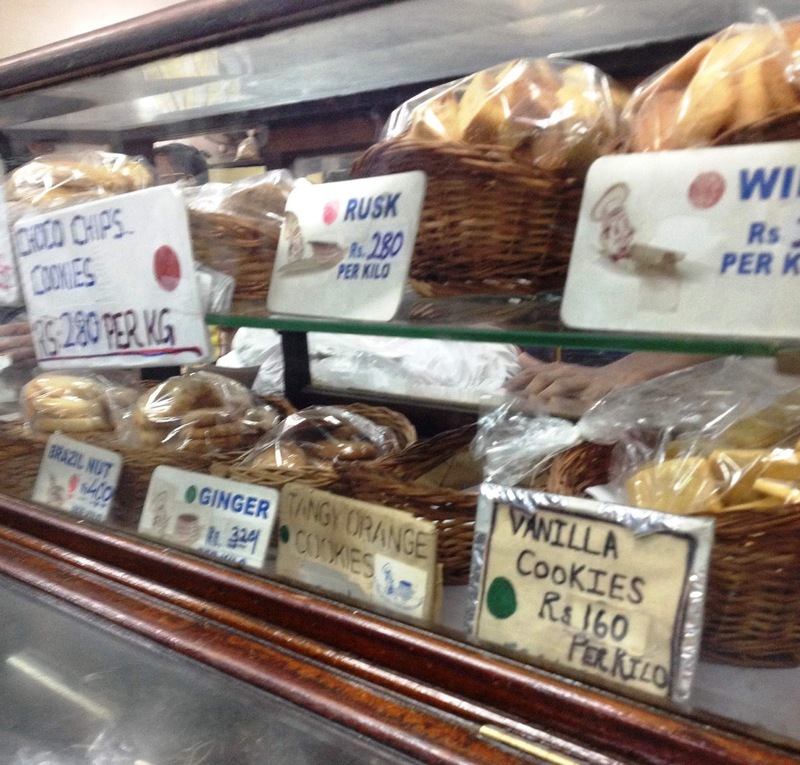 the Jali wafer was like many hashtags put together ##### that kind of potato wafers. The first Bhudani we went to did not have them, so we bought a whole lot of new chips they had like onion and sour creams crisps. 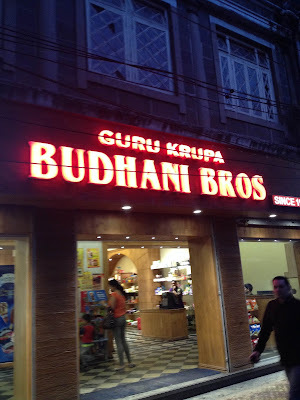 We then surreptitiously went to the other two budhani brother's shops thinking that maybe one of them had been willed the famed 'jaali wafers' secret recipe. But alas, none of them stock it anymore. 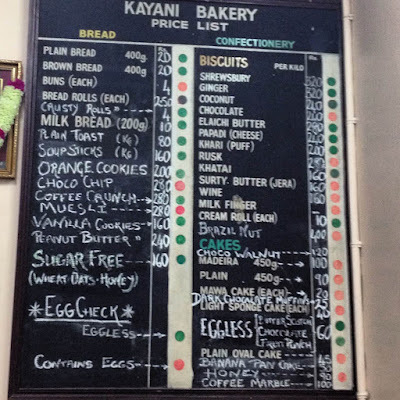 Not to be disheartened we went across to East street to another Iconic, Pune original the Kayani bakery. None to most for their shrewsbury biscuits, but every one knows that their choco walnut cakes are the hot sells. We were cocky enough to walk in at 7 30 in the evening, a time when there was still a handsome crowd awaiting their fresh bakes, but alas the choco walnut cakes were sold out. Armed with chocolate cakes, choclat muffins and kayani khatai biscuits we didn't feel the visit was a complete loss. MG road is everything an old endearing relative is; the whole place shuts down like clockwork at 1 in the afternoon to open at 4 in the evening, not to be bullied into the new fangled idea of working on weekends, MG road shops stay closed on Sundays, The shops and store windows are still very much the way they were 15 odd years back, a few shops now have multiple outlets because of family issues, but all in all this is a wholly 'non mall shopping ' experience. 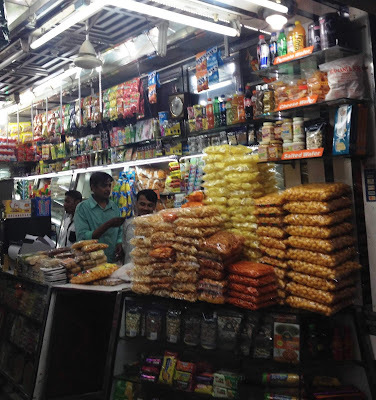 Most of the shop keepers have known each other for generations, and have known their customers for generations. As we left 'needle woman' the man informed that we can come in for a change of colour and size of baby clothes. 'No bill required' return any time within 100 days. That pretty much sums up how the place works. visit MG road for the Pune of yore when it wasn't so much a place for the young IT crowd , but more a retirement haven for the wisened. shut on sundays, and afternoons from 1 to 4 . 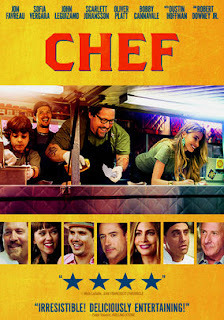 Remember the movie Chef and how driven by the need to follow his food dream and being snubbed by the restaurant reviewer and controlled by the restaurant owner, he quits and starts his own food truck? Well while the food truck revolution is yet to take India by storm, there is a slow growing revolution ready to upturn the original eating out idea of restaurants- the Home chef. 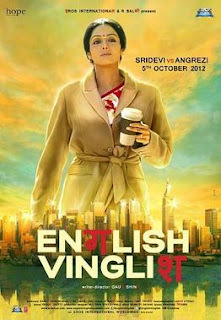 Here are to me two types of home chefs, one who is a trained chef and has decided to not go the conventional hospitality business route and the other is a person passionate about cooking and has taken to becoming more savvy with their marketing skills (think sridevi in English vinglish). 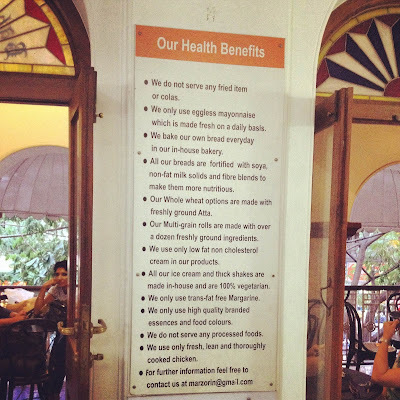 As a restaurant reviewer myself, I was keenly aware of how much responsible reviewing is key to writing about the food. My favourite restaurants are invariably the ‘chef owned ‘ restaurants, these tend to concentrate on the food rather than the other trappings. But unlike in other countries where the Chef is the star of the restaurant , in India we have the ‘owners’ who have no food background except “we wanted to bring a different dining experience to the city” standard answer or even worse the ‘manager’ where the actual owner of the restaurant is not even a hands on worker in the establishment but has paid for the establishment and the me to run it, and is actually into the mining/garment business and the restaurant is just diversified money. Where then in this scheme of things does the food and the person cooking it essentially stand? Restaurant owners crib about the their ‘north eastern ‘ cook going on leave, some even openly discuss the rising wages of the ‘kitchen staff’. The ‘chef’ so to say is still just a cog in the wheel of Indian eating out. Maybe that is why we are not making waves on the “50 best restaurants” or the “Michelin star”lists even though our cuisine and culinary heritage compares to the best in the west. But that’s a discussion for another time. 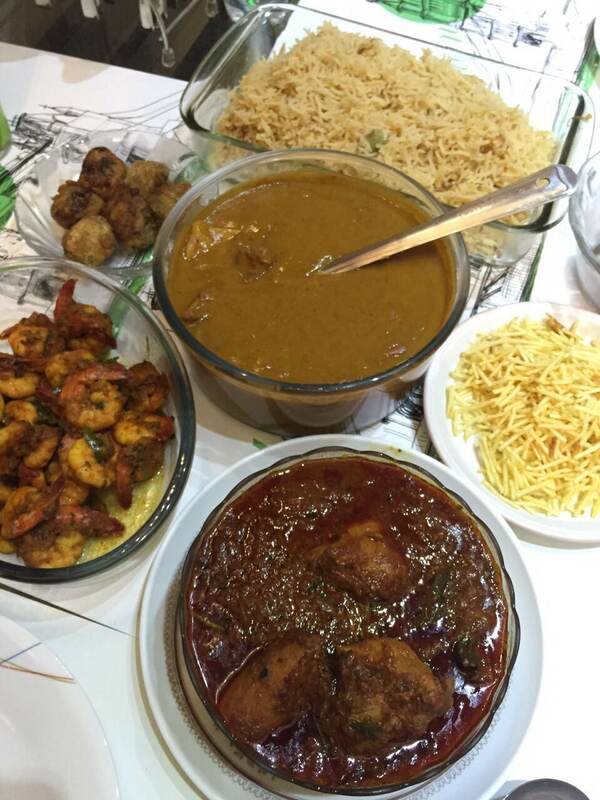 Slowly the people who love their food, and are passionate about it, started to cook for friends and family. Setting up a restaurant needs licences of all kinds and often times need greasing of palms whether it is the electricity dept, housing or the local MLA/corporater. Cutting out the middle man so to say, and delivering straight to the customer is the HOME CHEF. In the last two weeks we tried three of Pune’s Home chefs: Chef Zubin who serves up authentic parsi cuisine on weekends, Parikshit Vilekar whose biryani has taken on cult status amongst the cities foodies, and chef Jyoti Jain who after a sabbatical has taken to baking. Chef Zubin has a fixed weekend menu which goes up on his FB page (search chef zubin rupa) and the weekend we ordered we got a parsi bhonu comprising Mutton dhansak, salli chicken, tatreli kolmi, brown onion rice, lagan nu custard and the complementary baked yogurt. Just because there is a prefix of home to these chefs, it does not entail they are any less professional when it comes to packing and delivery. We received all the food in neat little packages, no spillage, and sharp at 1 pm as promised. We ordered Parikshit’s mutton biryani and vegetarian biryani for a house party. 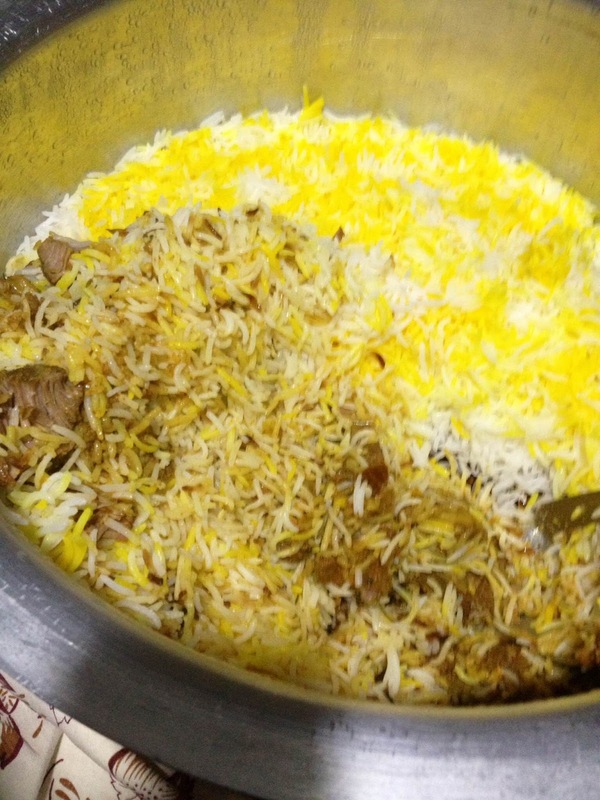 Two and a half Kilos of biryani was delivered from waked to Viman nagar. Parikshit has a professional delivery company help deliver the biryani in foil packagings across town, but since it seemed easier (for me) to serve the Biryani straight from the Dum handi, he personally delivered it on the day of Eid no less. Home chefs allow a personalised relationship with the client and the chef, thus allowing for more flexible timings as well as personalised taste preferences. Want less spice or more salad? Let your chef know. 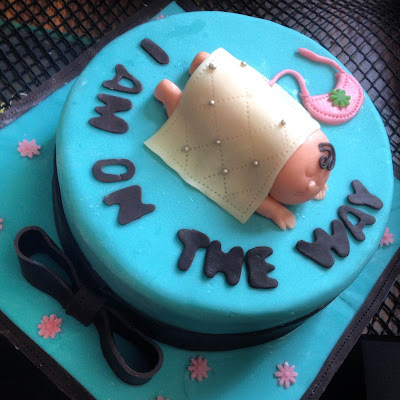 We had a a chocolate and orange mousse cake and a baby shower cake ordered from Chef Jyoti and both delivered on taste and visual appeal. To have the unique combination of ingredients and bespoke cakes for special occasions without scoring the city for the right bakery is a treat. Many of the bakeries insist on making these cakes in no less than 2 kilo and more as it doesn’t seem economically viable for them, that’s where the home chef steps in, willing to make you a pretty personalised creation for even 1 kg or lesser. With home chefs. The focus is back on food. These home chefs can now take their creations to more people through food delivery portals, or pop up food stalls at malls, or through food festival across the city. It’s no more about catering for weddings and parties, but even a Sunday lunch or a weekday dinner can be made special by bringing home food made for the love of food itself. 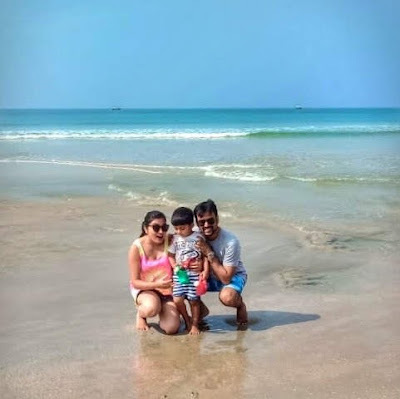 Cruise ships not only allow for one to experience the lavish lifestyles of the rich and the famous on board their ships, but what we really enjoyed was the idea of travelling without any of the fatigue attached to travelling. discover a new place and while we sleep, overnight we were transported to another part of the world.Night or day , we managed to pack in as many adventures as we could. dancing on the cruise liner, drinking champagne at the Gala nights or getting drool worthy portraits taken. Tunisia is a place we were most intrigued by, for one none of our friends or family had been here, also it would be our first foray into Africa (It's in North Africa). With us almost missing our ship in Barcelona, we decided to play it safe in Tunisia. we took the ship's pre planned tour and LOVED it! we chose one which took us to a palace, a small souk (bazaar) and still get us safely back in time. Tunisia was so tourist friendly, their port had shops and camel rides. Beautiful blue and white ceramic crockeries were simply eye catching, and I got to really flex my bargaining muscles here. to be able to buy 5 Euro plates is a refreshing change from the 20 Euro souvenirs we bought in Rome. colourful bags and jewellery. colour I think is what diffrentiates the Europe from Africa. 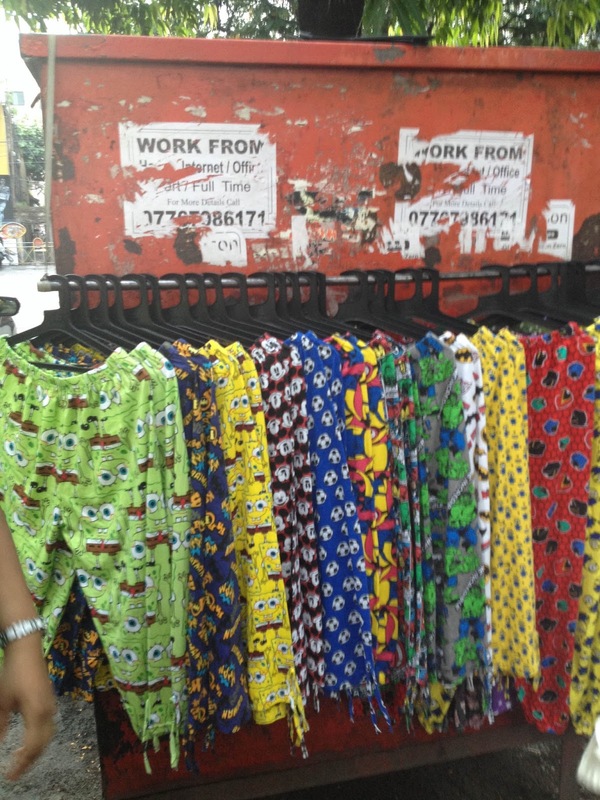 where in Rome and Italy we saw most people dressed in blacks and greys , this place was a profusion of colours. We were taken to an Attar store. Being from India we had a fairly decent idea that Attar was perfume concentrates in a purer form without the alcohol content, and was used on pulse points. We decided to buy the night cactus attars, which were supposedly the base aroma of Channel no 5. they had everything from the base of Davidoff to David Beckham perfumes, and if nothing else it was an interesting tour. cactii and white washed homes with blue doors and windows. Picture perfect tunisia. I couldn't get enough of the white washed buildings with the sapphire blue trimmings, the gates, lamps, staircases, and windows, like ornanments of the house. When one tthinks of blue and white on houses most think of Greece, but Tunisia just goes to show there is more to this mediterranean colours. I do wish one city or town in India decides to go blue and white, it makes such a startling contrast, not to mention great photographs. Most people on the ship shied away from the spicy african cuisine, which was expected since most of them hailed from European countries , but we as Indians love our spices. the spice boxes being sold in the shops were quite similar to the Indian spices, cumin and curry and paprika and saffron, familiar flavours all. We tried a North African sandwich on the go, and it was fantastic! All those spices marinated with the chicken, held together by fresh sewwt bread rolls. Yum! another day another city, and yet again time to play safe. we were warned that Palermo is a volatile city with people quick to anger. Home of the Italian gangsters, made famous by movies like Godfather and the whole American televised versions of the Italian Mafia, Palermo was going to be fun. Almost all the souvenir shops sold Godfather movie merabilia, and we picked up a funky Godfather inspired chef's apron for Edy our personal attendant at our dinners on the ship. Christmas was drawing nnear, and nearly every place had NOEL inspired decor. my trip in Italy had me falling in love with my new interest, artichokes! Lemons are THE flavour of this place, pick up limoncello the local liquor , or a lemon sorbet, or a gelato within a brioche. to have a sandwich icecream with bread and gelato was kind of a new experience with the brioche gelatos. That night was our last on the MSC Splendida. : Edy made a special bun bunny for our table holding the MSC flag. overwhelmed by our gift of the chefs apron for him, he made lovely tissue roses which we carried back from our trip. This night was all about goodbyes. We went in search of all the people who made the trip special, our dance instructors, the gorgeous dancers part of the troupe, and Israel who was the photographer on board. The ship has many photographers who stand at strategic places waiting to ambush you into taking pictures. Every night we would pose our way through the staircases, grandpianos, lounge chairs. I had read in my various 'cruise ship reviews' that spending on pictures was asheer waste of money and the best way to get out of it was not to get pictures taken at all. And then we met Israel. He was a magician with his camera. He took pictures which made us look like movie stars, all soft glow, blemish free, and flawless. There were perhaps 10 photographhers all over the ship, but after the first few nights we realised he was the best. After that we started to dress up for our pictures, even stalk the man, ask every other person where Israel was posted that night. Sure every picture cost 30 euros, but those pictures are the best 300 odd euros we spent. A whirlwind trip crammed with so much adventure, interesting cities, gorgeous locales, extravagant entertainment, delightful food, endearing people. before this I considered cruise ships an extravagant if not over the top way to travel, best suited for the old and the wealthy, but we couldnt have wished for a more amazing choice for a honeymoon. Hope you enjoyed this virtual trip as much as we did.